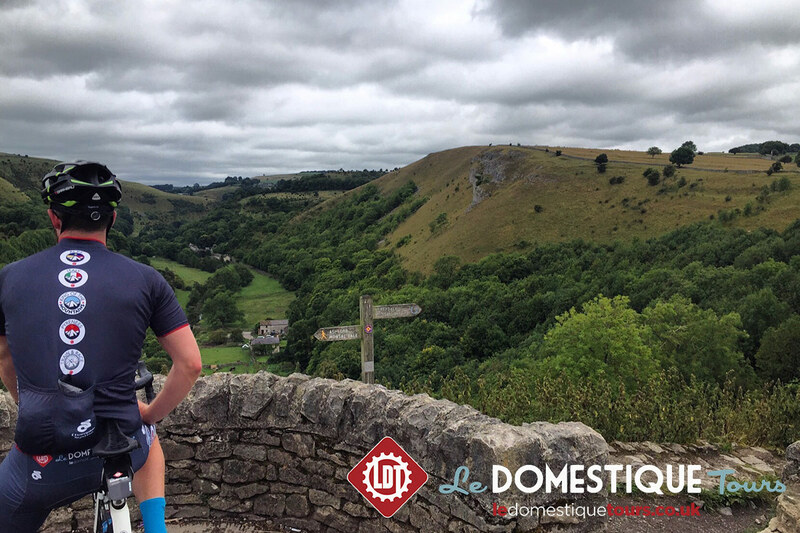 If you have you signed up to a sportive or charity cycle ride in 2019, are looking to give your cycling performance a boost ahead of a long winter, or just want to join Le Domestique to ride in this incredible area of the UK, our Peak District Cycling Training Camps offer the perfect solution. Based out of our stunning private manor house accommodation and designed by Le Domestique with the assistance of our professional guide team and head chef, our Peak District Cycling Training Camps combine luxury accommodation, professionally coached Masterclass sessions, two days of fully guided and supported riding with bespoke breakfast, lunch and dinner menus to create a true professional level training camp. Best of all, with a two night itinerary and a location easily accessed from across the UK, guests can leave work on Friday, complete the full camp and be home for supper on Sunday a better, more knowledgeable cyclist. Spanning the counties of Derbyshire, Cheshire, Staffordshire and Yorkshire, the Peak District is the UK’s first National Park in 1951, remaining to this day one of the finest locations for road cycling. 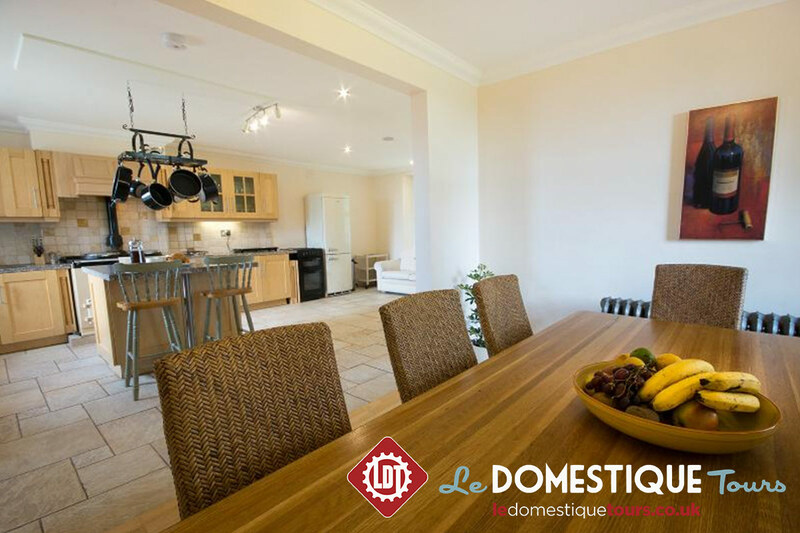 Located in the heart of the Peak District between the towns of Bakewell and Buxton, our luxurious accommodation in a private manor house limited to a maximum group size of twelve riders provides the perfect base for the weekend’s activities. 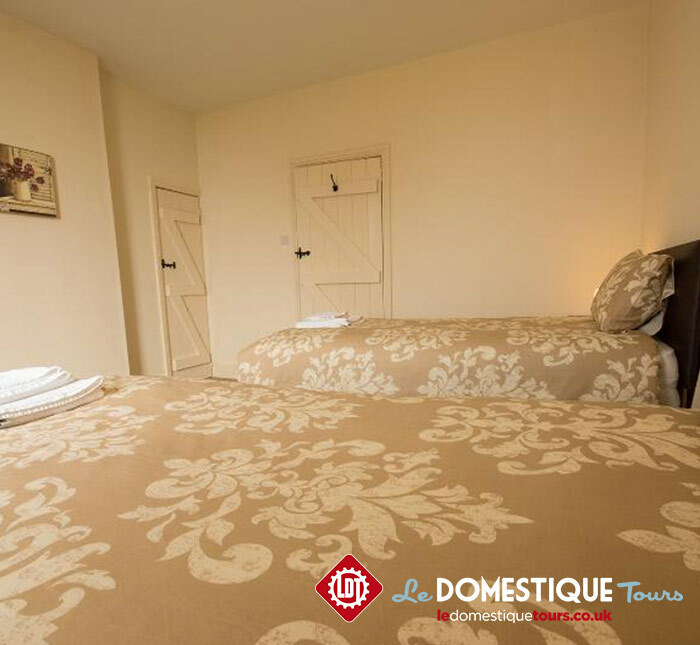 With flexible bedroom arrangements offering solo, twin or triple occupancy, a warm comfortable environment and sensational food prepared by our own professional chef, guests will instantly feel at home and receive a far higher class experience than the high volume hotel packages offered by others. Friday – Arrive Friday evening from 5pm, settle in to your accommodation while your guides assist you with bike assembly and preparation ahead of the weekends riding. 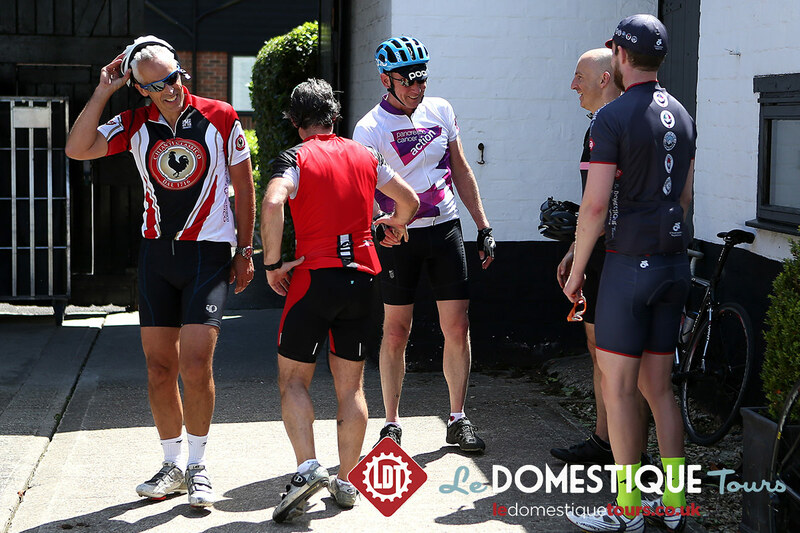 Over pre-dinner drinks Le Domestique’s team will carry out a welcome briefing laying out the aims and structure of the camp, together with our How to Climb Masterclass. A delicious three course dinner prepared by our own professional chef specifically to cater to the needs of cyclists and highlighted by locally sourced boeuf bourguignon will then be enjoyed, before guests retire to relax in the comfortable sitting rooms. Saturday – The day begins with a hearty breakfast with a full range of hot and cold options including homemade porridge, omelettes and muesli, along with single origin espresso from Square Mile Coffee. 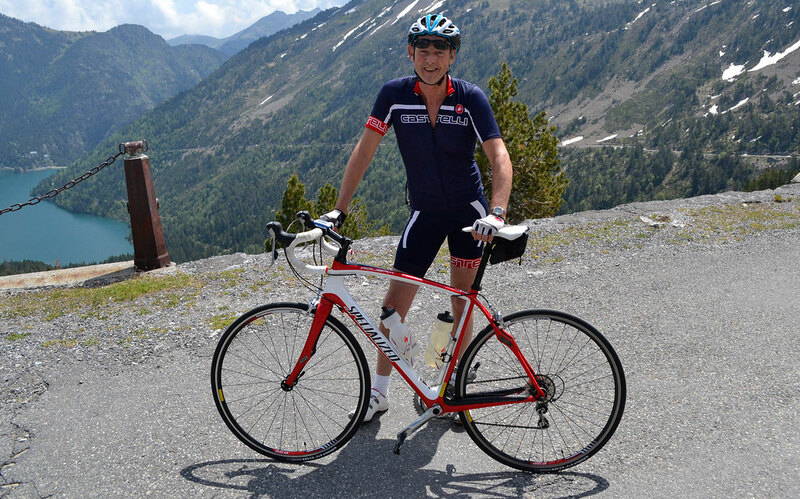 Following breakfast our Bike Handling and Descending Masterclass will be provided for those who wish to attend. Two ride options will be available, with an 90km or 130km route choice, catering to both beginner and advanced riders. 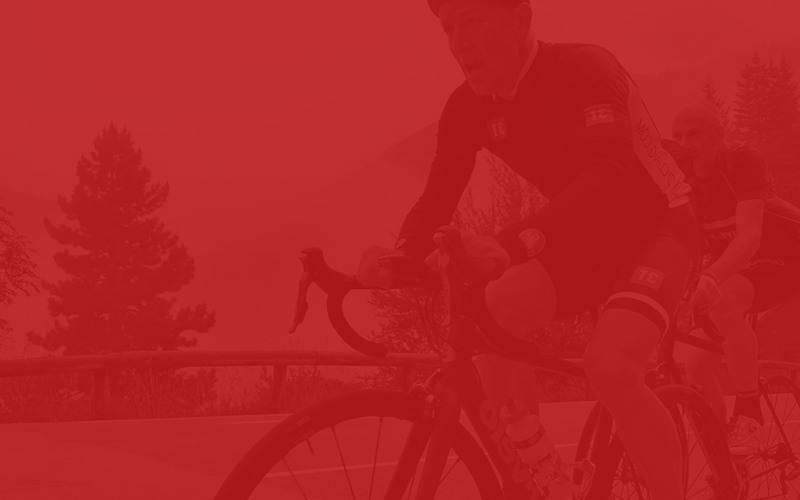 The routes are designed to provide experience across a wide range of terrain, including long, steady and steep climbing, offering the perfect preparation for UK and European sportives or multiday events. All the riding will be supported by guide riders there to assist guests and provide on the road advice and guidance, along with a dedicated support vehicle, ensuring all the riders need to think about is turning the pedals and making the most of the experience. An on the road lunch will be provided to riders, together with homemade cycling specific nutritional products and a post ride recovery shake. Following the conclusion of the riding, a further three course dinner will be taken at our accommodation, followed by our How to Build a Training Plan Masterclass. 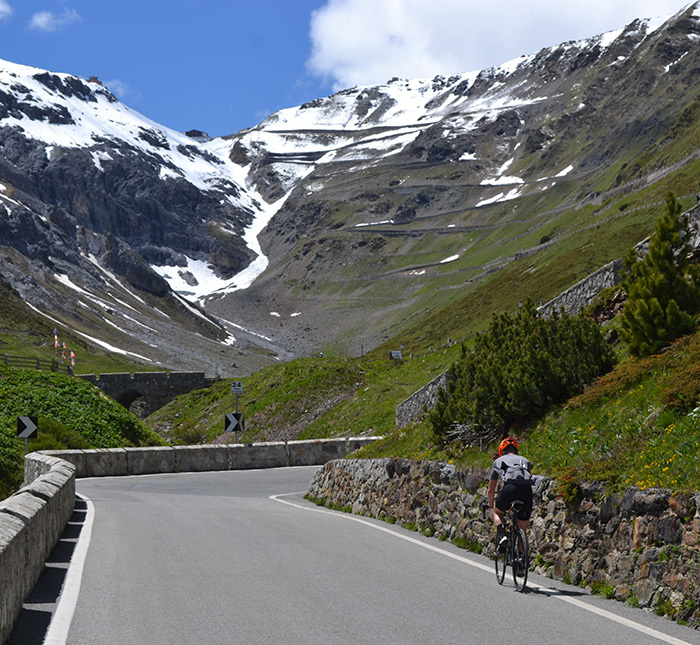 Sunday – Following a further hearty breakfast, guests are free to choose to either complete an additional ride of 90km tackling a climbing heavy route designed specifically for those looking to undertake a continental sportive, or complete a dedicated practical Masterclass session designed to focus on improving rider confidence in the areas of descending, climbing and group riding through a number of specific exercises incorporated into a three-four hour ride. Accompanied by the full support detailed above and with a light lunch on the road and post ride recovery shake, riders nutritional needs will be met throughout. 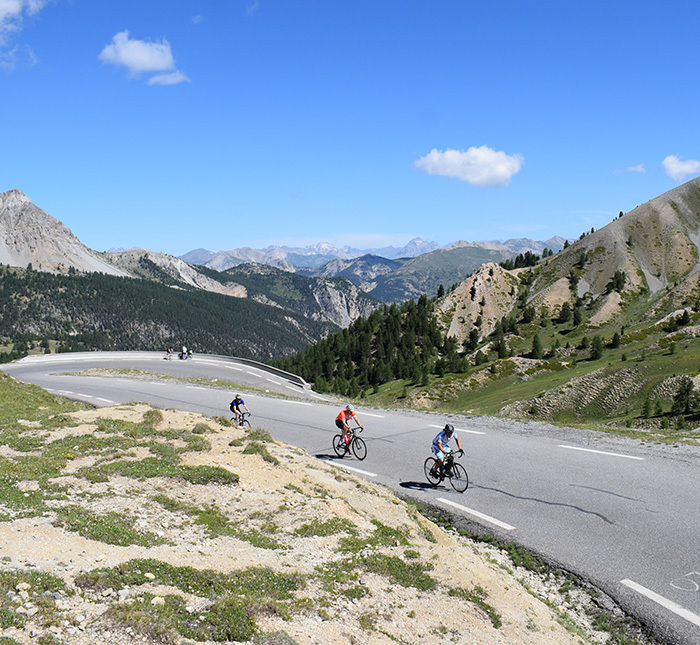 Returning to the accommodation at 3pm, guests will be able to shower, change and pack their bikes, before a final early dinner buffet, departing by 6pm. Arrive Friday evening from 5pm, settle in to your accommodation while your guides assist you with bike assembly ahead of the weekends riding. 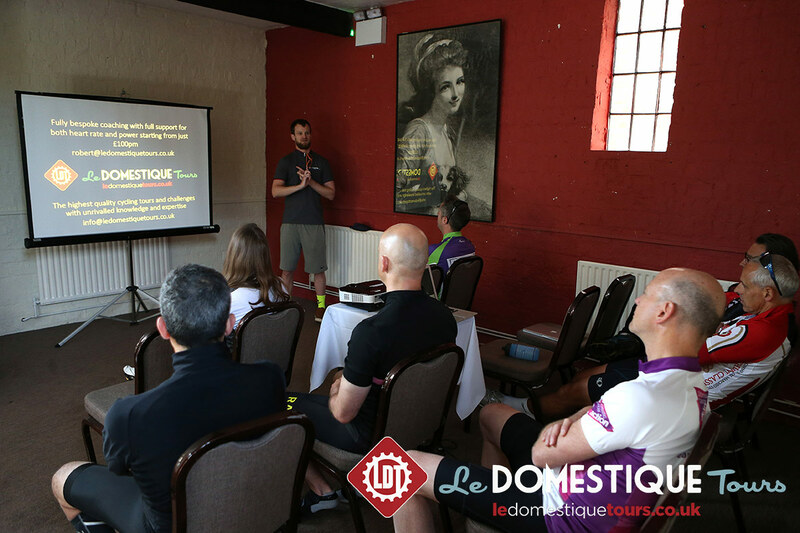 Over pre-dinner drinks Le Domestique's experts will carry out a welcome briefing laying out the aims and structure of the camp, together with our How to Climb Masterclass. A delicious three course dinner will then be enjoyed, before guests retire to relax in the comfortable sitting rooms. 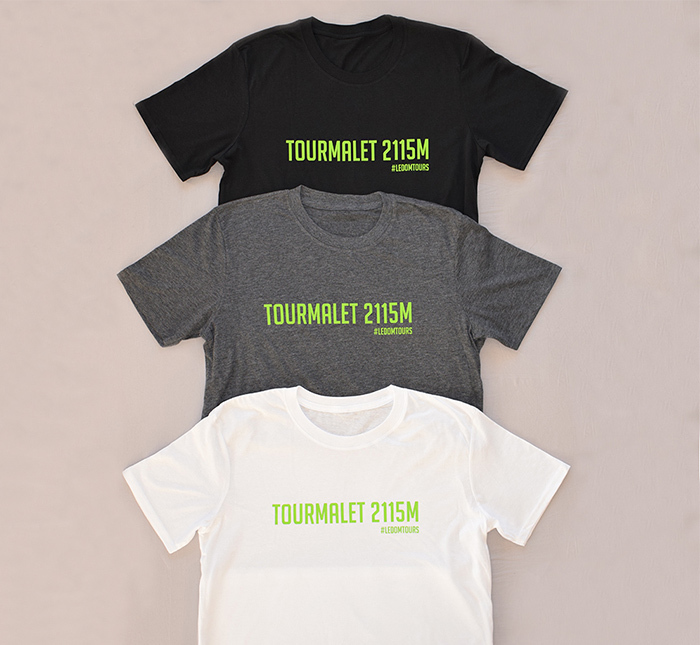 The routes are designed to provide experience across a wide range of terrain, including long, steady and steep climbing, offering the perfect preparation for UK and European sportives or multiday events. All the riding will be supported by guide riders there to assist guests and provide on the road advice and guidance, along with a dedicated support vehicle. An on the road lunch will be provided to riders, together with homemade cycling specific nutritional products and a post ride recovery shake. Following the conclusion of the riding our How to Build a Training Plan Masterclass will be provided. Guests choose to complete a ride of 90km tackling a climbing heavy route designed specifically for those looking to undertake a continental sportive, or complete a dedicated practical Masterclass session designed to focus on improving rider confidence in the areas of descending, climbing and group riding through a number of specific exercises. Returning to the accommodation at 3pm, guests will be able to shower, change and pack their bikes, before a final early dinner buffet, departing by 6pm. 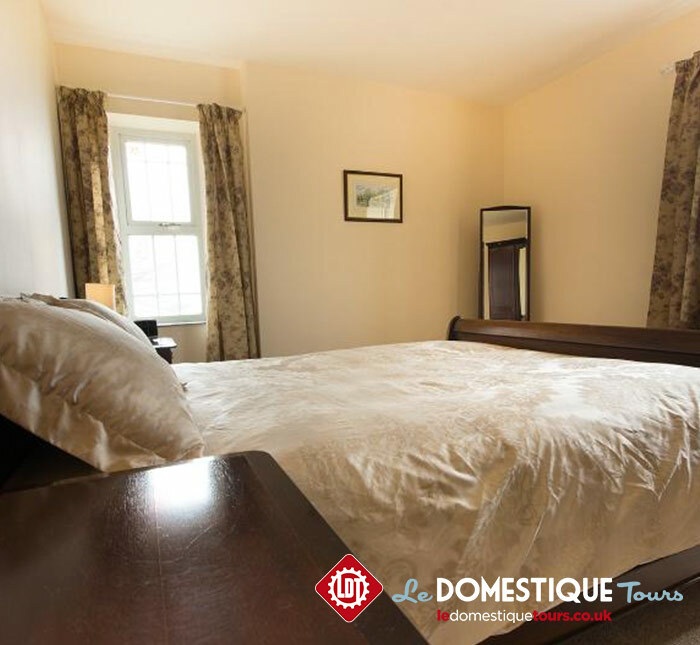 Accommodation on a twin share basis in our stunning six bedroom manor house situated between the historic towns of Buxton and Bakewell. Solo Occupancy is available at an additional cost of ?100. Breakfasts on the Saturday and Sunday prepared by our professional chef including homemade porridge, omelettes, muesli, continental options, fresh coffee and espresso from Square Mile Coffee, fresh juices and so on. On the road lunches on Saturday and Sunday prepared by our professional chef using recipes designed to provide the perfect fuel for cycling. Three course evening meals on the Friday and Saturday prepared by our professional chef using a seasonal menu packed full with fresh locally sourced ingredients, providing all the carbohydrate, protein and nutrients needed to support the riding activities of the weekend. 1/2 bottle of wine with dinner, along with pre-dinner aperitif. Ride nutrition from Torq and Pedal Bites, providing both homemade nutrition products and energy gels and drinks, together with a daily post ride recovery shake. 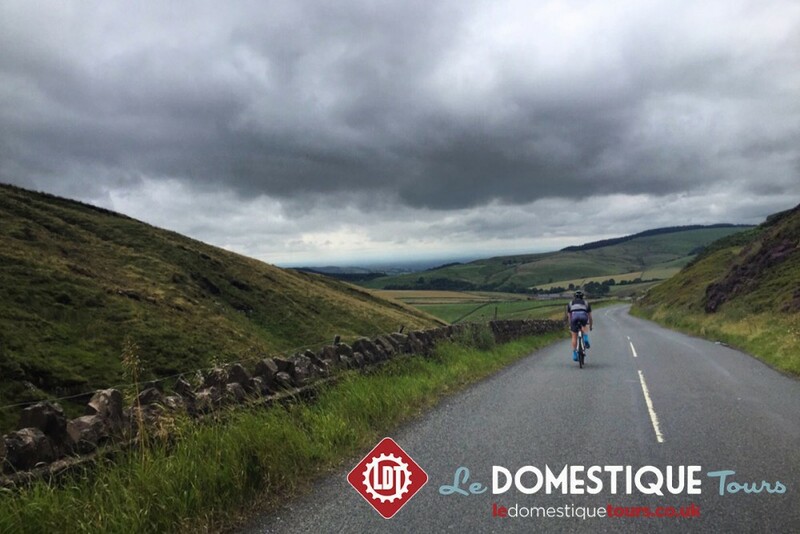 The Masterclass sessions detailed above provided by the Le Domestique team. Fully guided and supported riding with an option of 130km or 90km routes on the Saturday and a choice of 90km ride or Masterclass session on the Sunday. 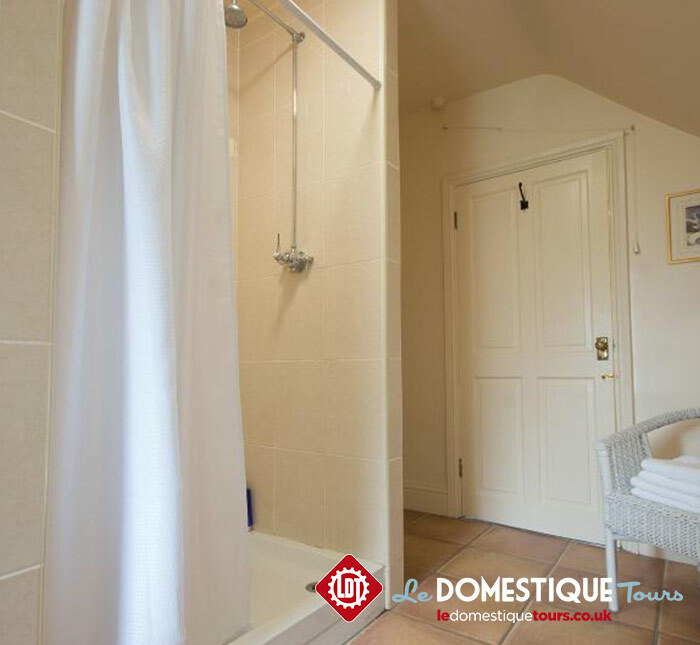 Access to the accommodation?s indoor heated swimming pool (the pool is shared between three properties). Travel to and from the training camp. Massages (available at additional cost).